Annual herb with branched, erect and smooth stem, up to 15-60 cm high, native to Southeast Europe and adjacent Asia, naturalized in Europe, North America, Australia. Cultivated in Egypt, Argentina and Europe. M.chamomilla flowers own a attractive and characteristic odor, which is very different from the essential oil of the herb. A comparison of the constituents of the essential oil (of the bisobolol A chemotype, the more common type in central Europe) and a vacuum headspace concentrate of German chamomile flowers showed some similarities but many differences. Both were high in (E)-β-farnesene (oil 26%, headspace 23%) and bisabolol oxide A (6% vs. 28%), bisabolol oxide B (both 4%), bisabolone oxide (5% vs. 3%). Closed loop stripping sampling of living flowers found p-cymene (22.2%), β-selinene (15.9%) and artemisia ketone (10.3%) as main constituents, with 1,8-cineole (8.7%), cis-3-hexenyl acetate (6.9%), ethyl 2-methyl butyrate (6.1%), β-caryophyllene (5.1%), (E)-β-farnesene (4.9%), and propyl 2-methyl butyrate (2.2%). The dark blue colored chamazulene is an artifact of the steam distillation of German chamomile flowers. 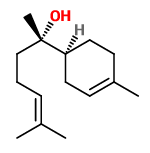 The essential oil collected by steam distillation contained bisabololoxide A (57.6%), chamazulene (23.3%), bisabolonoxide A (4.1%), bisabololoxide B (4.3%), (E)-β-farnesene (2.9%), and germacrene D (1.4%). The fruit esters, ocimenes, artemisia keton and β-selinene were only found in traces. Matricaria perforata (Geruchlose Kamille, 0.2%): (Z,Z)-matricaria ester (77.9%), (E)-β-farnesene (3.5%), matricaria ester isomer (3.5%), matricaria lactone (3.0%).